The Strike Fx 1kg FM200 Automatic Extinguishers are the latest additions to our automatic extinguisher rang. With all the fighting power of a standard automatic extinguisher the Strike Fx FM200 fights the fire from a specialist polymer detection tube. 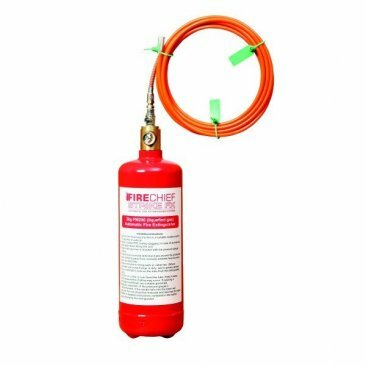 Using a clean and safe gas to put out a fire quickly and easy to fit not requiring any electrical or moving parts.